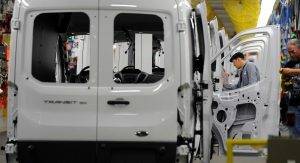 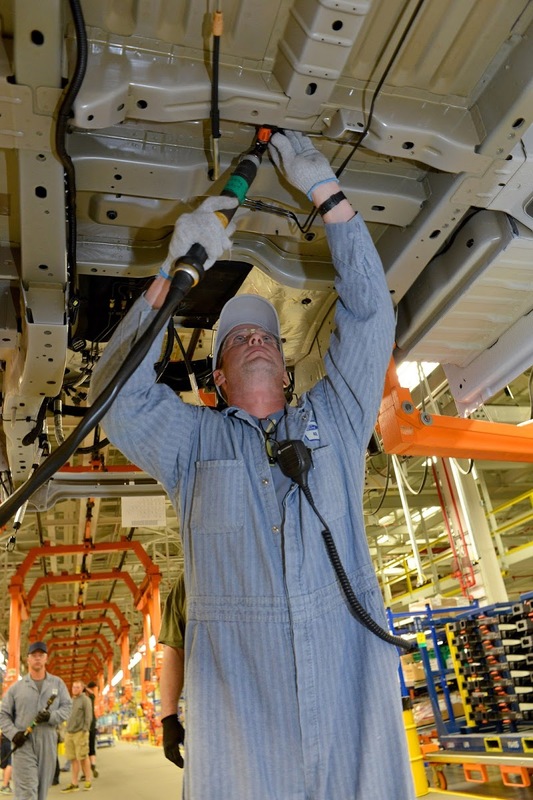 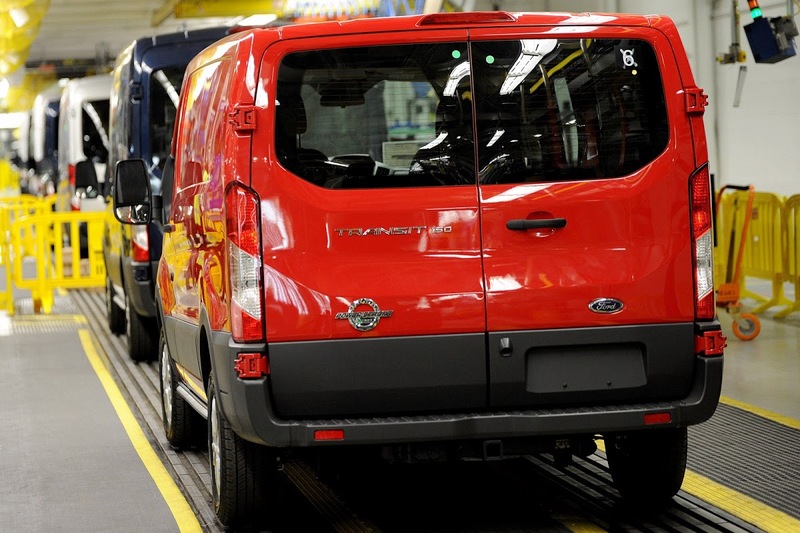 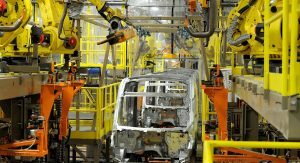 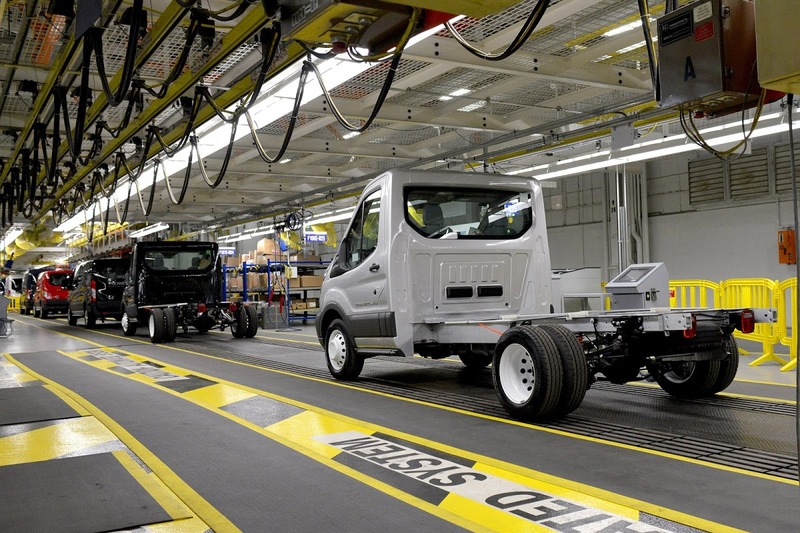 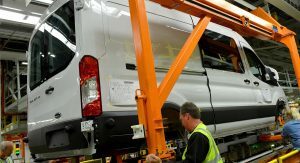 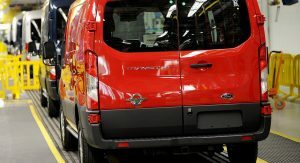 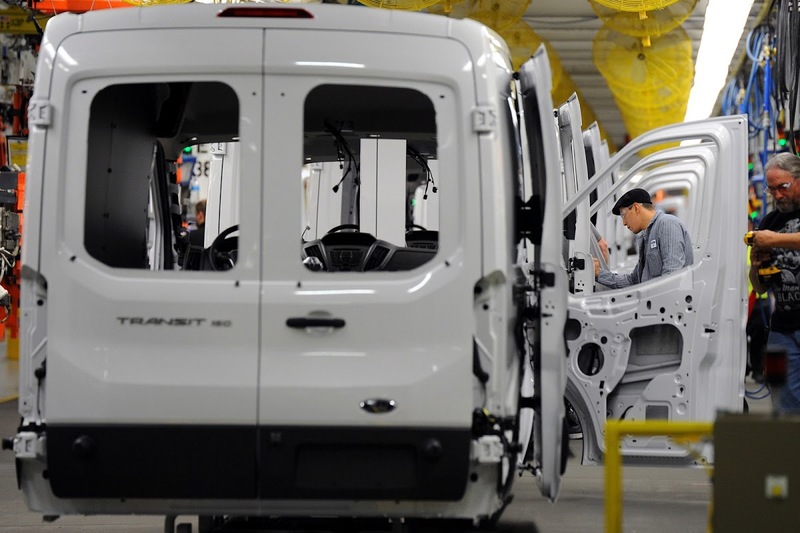 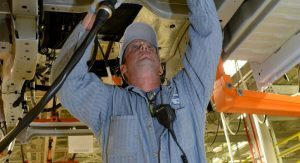 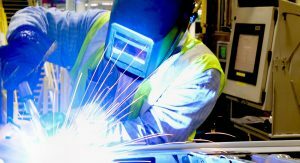 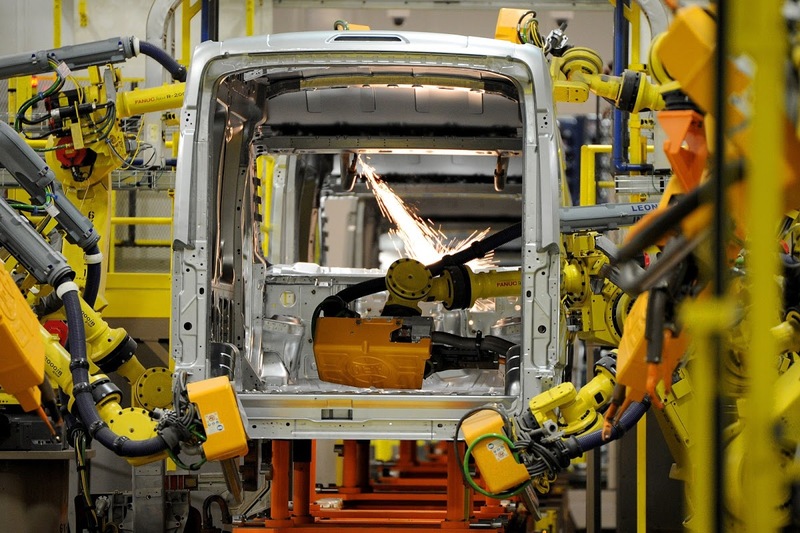 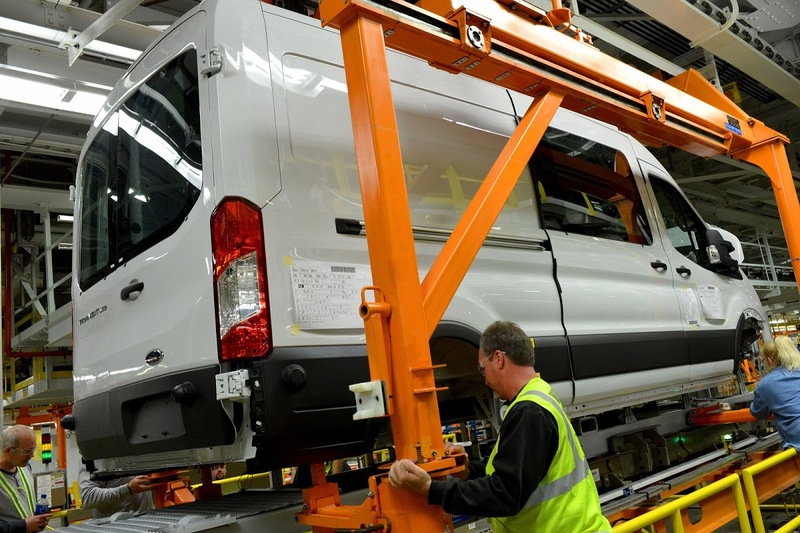 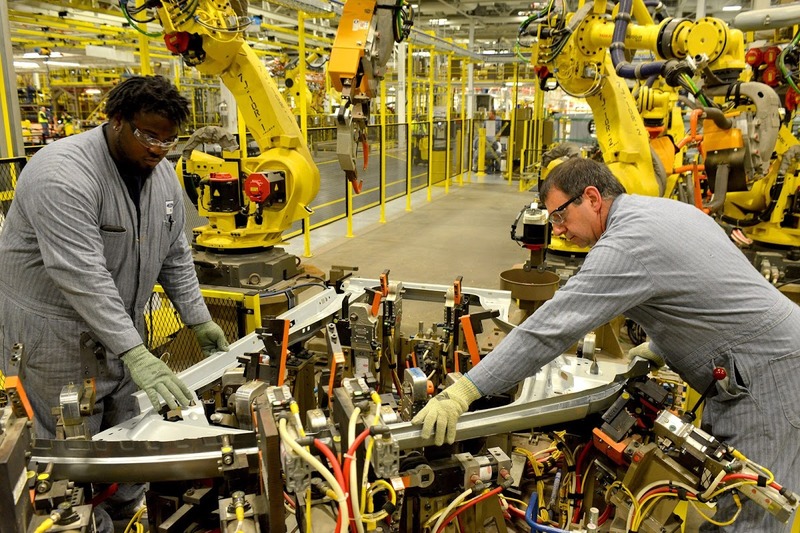 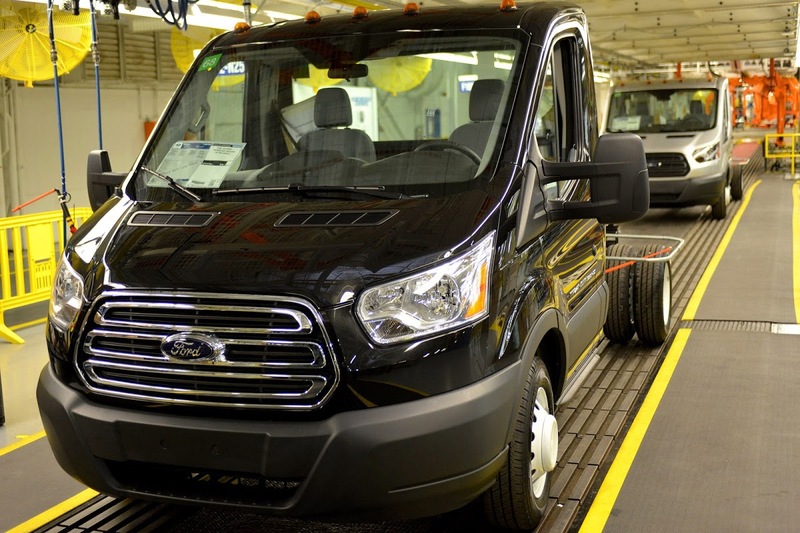 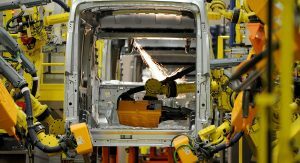 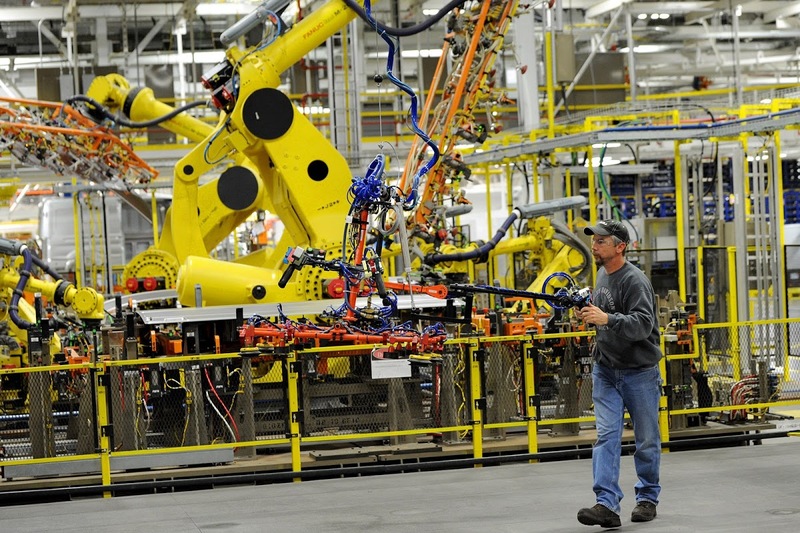 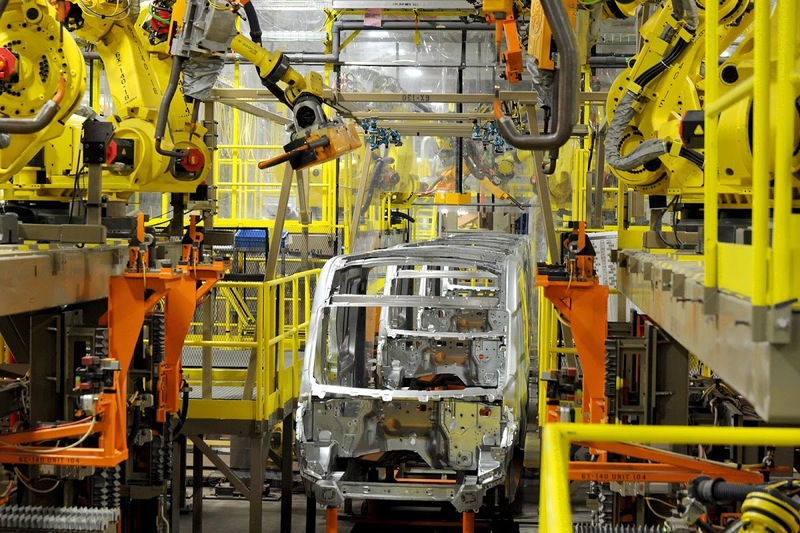 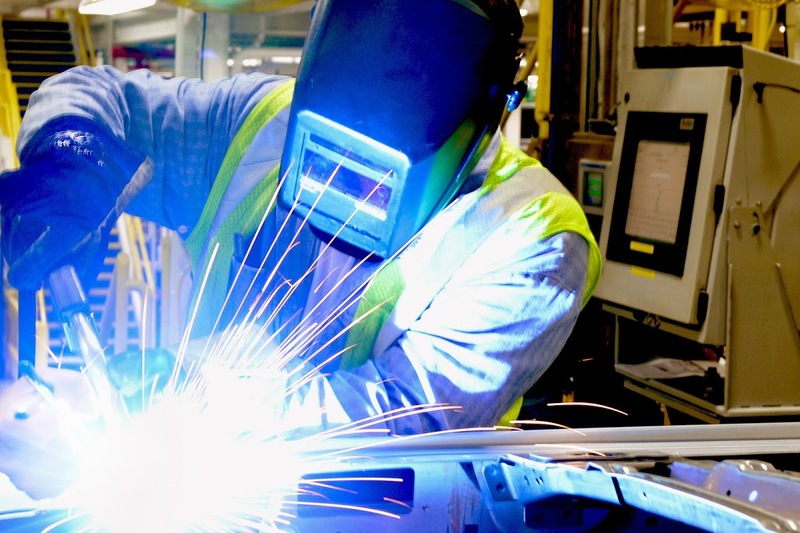 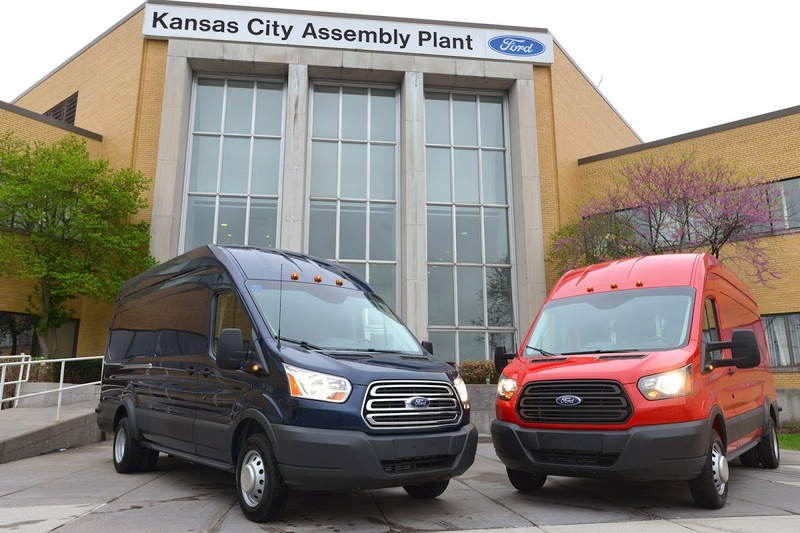 Following a $1.1 billion investment and the addition of 2,000 new jobs, the Kansas City Assembly Plant has begun production of the all-new 2015 Ford Transit van. 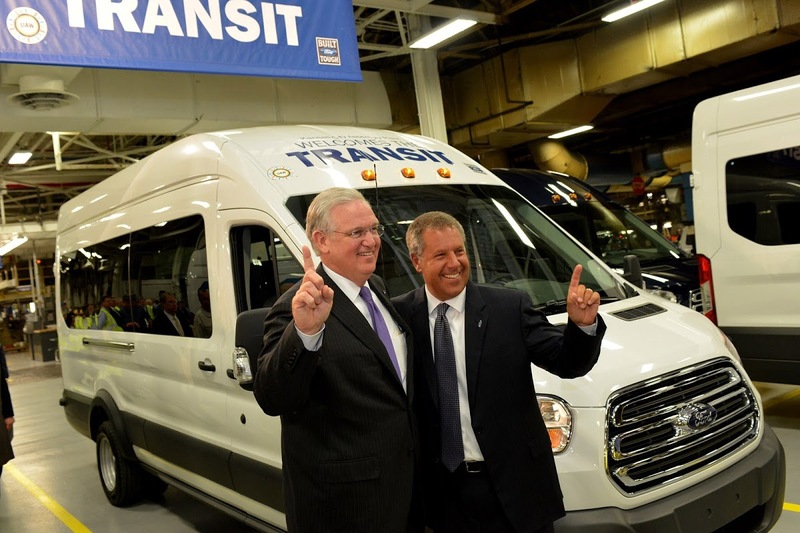 Replacing the E-Series van, the Transit promises best-in-class maximum interior cargo height as well as better cargo volume and payload capacity than competing vans from General Motors and Chrysler, according to Ford. 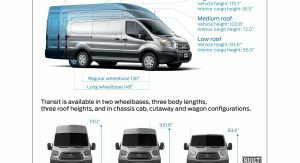 Available with three roof heights, two wheelbases and three body lengths, the Transit will be on sale this summer in the U.S. E-Series vans and wagons still will be available and sold side-by-side with Transit into the 2014 calendar year. 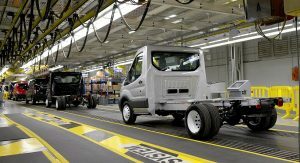 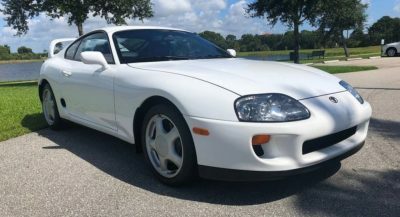 Additionally, the E-Series cutaway and stripped chassis will continue to be built and sold through most of the rest of the decade. 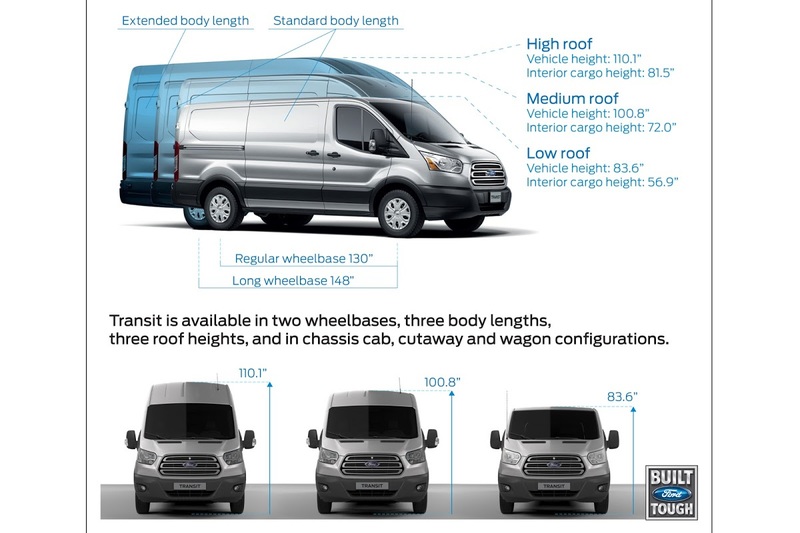 The new Transit van offers up to 487 cubic feet (13,790 liters) of cargo volume and 4,650 pounds (2,109 kg) of maximum payload capacity, while delivering a maximum towing capacity of 7,600 pounds (3,447 kg). 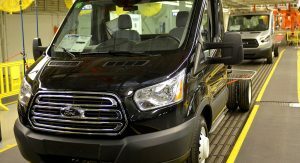 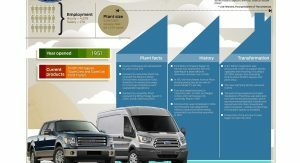 Ford says that the Transit offers as much as 75 percent more cargo volume than the largest E-Series in some configurations. 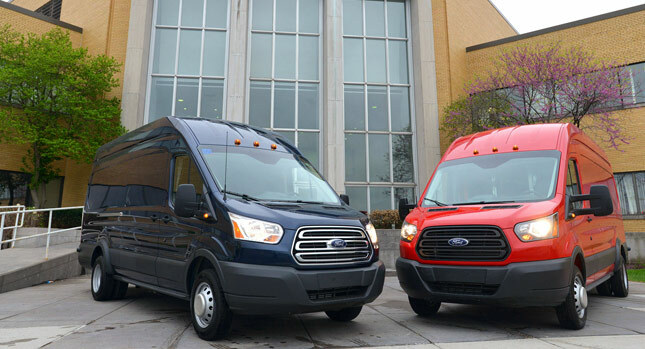 Maximum payload increases more than 600 pounds (272 kg) across the Transit van lineup versus comparable E-Series vans. 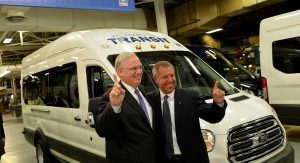 The Transit will be available with two gasoline engines, a standard 3.7-liter V6 and an available 3.5-liter EcoBoost unit. 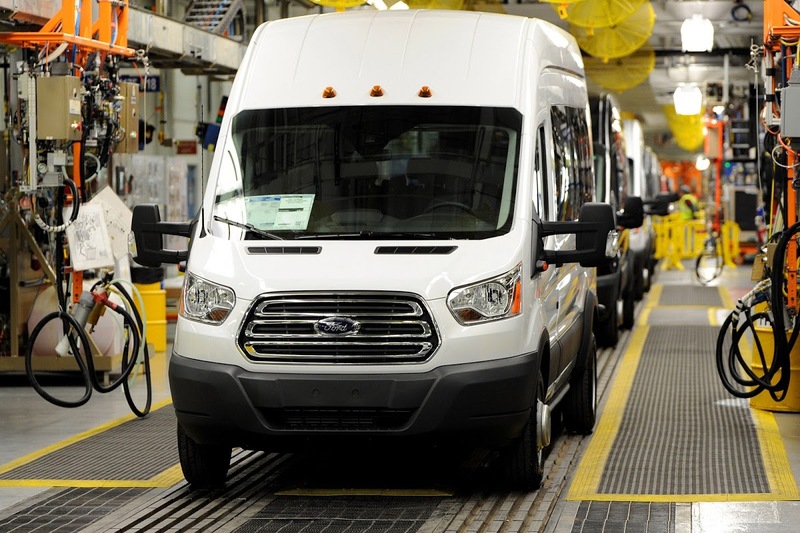 A 3.2-liter Power Stroke diesel will also be offered. 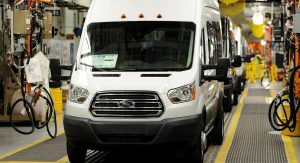 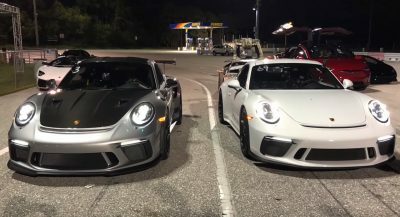 Each engine is mated to a six-speed automatic transmission, with all models being rear-wheel-drive. 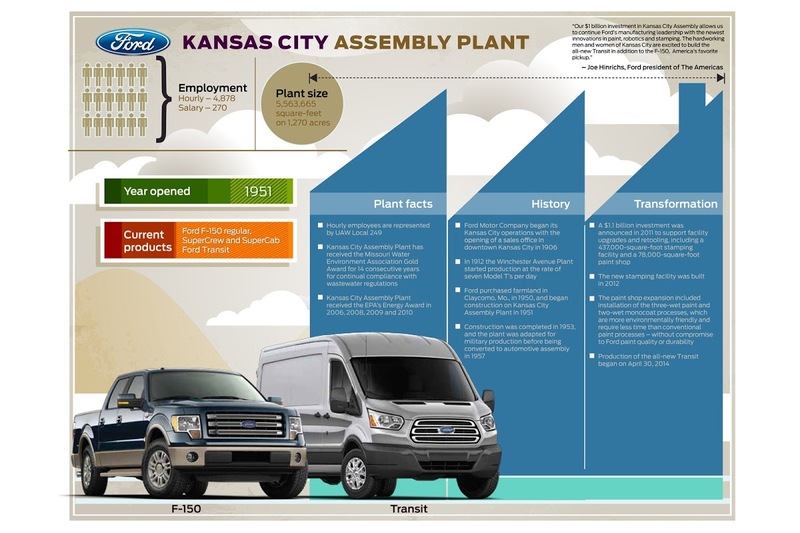 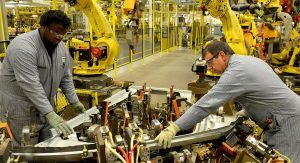 Ford has invested $1.1 billion to retool and expand the Kansas City facility for Transit production and support surging customer demand for F-150. 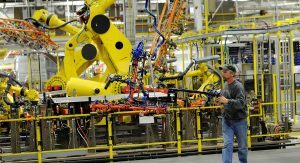 Expansion projects include the addition of a 437,000-square-foot stamping facility and a 78,000-square-foot paint shop.